Some cool behind the scenes video. A few explosions and some stuff with extras. 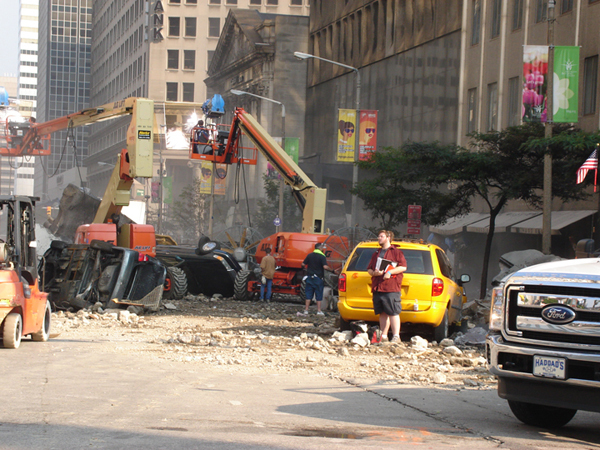 This past week I was lucky enough to be on the set of The Avengers. The film looks amazing and it was beyond cool to see all this behind the scenes stuff. I’ve been on sets before but never something as large scale as this. I was blown away. If you want to see more of my pictures I have them posted to the Facebook page. I have some video that I will upload as soon as I go through and edit it. This was an amazing experience I won’t soon forget. This really supercharged me to get working harder on my own films! Run! Run! There’s nowhere to run!